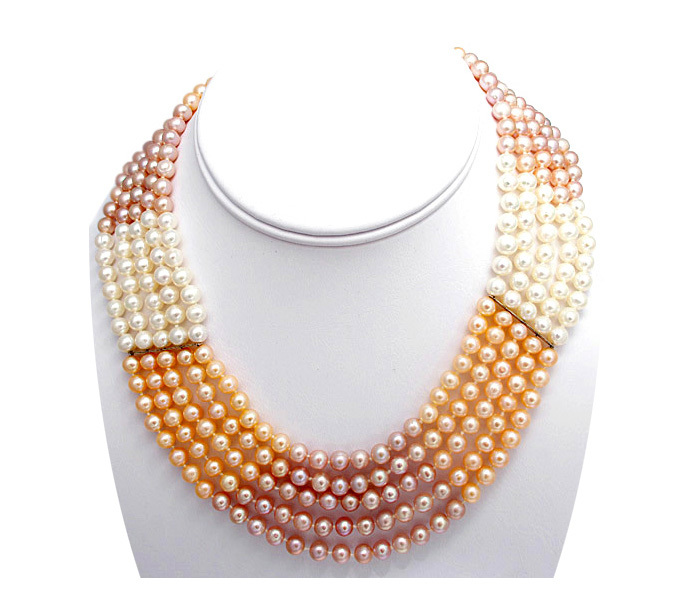 A Glamorous Designer 5 Strand Multicolour Freshwater Pearl Necklace. The Round 4-5mm lustrous White, Peach and Pink Freshwater Pearls are individually knotted on silk strand and have Sterling Silver Spacer Bars to provide maximum strength and flexibility. The necklace is 15- 18 inches in length and is finished with a Slide out 925 Sterling Silver Clasp.